CONGRATULATIONS Mr and Mrs Wright, Georgie, Jamie and Eli who became a family today!! Their wedding ceremony was warm, heartfelt and intimate, being held on a beautifully manicured lawn on a family members farm. A fabulous archway of flowing silk provided the backdrop to the altar and the sun was shining. The truly lovely thing was the couple’s three children who are adorable were all included in a unique way. It was extra special for me having the honour of pronouncing Michael and Marie “husband and wife” – it was my very first time officiating as a Marriage Celebrant! I’m not sure who was more nervous, the bride and groom – or me! I was alright up until I saw the beautiful bride then I choked up a little. Marrying two people and making their union ‘official’ is such an incredibly amazing privilege to be able to do for them. And what a genuine and gorgeous family to be able to look after – I hope I did them, their children and their love for each other justice. 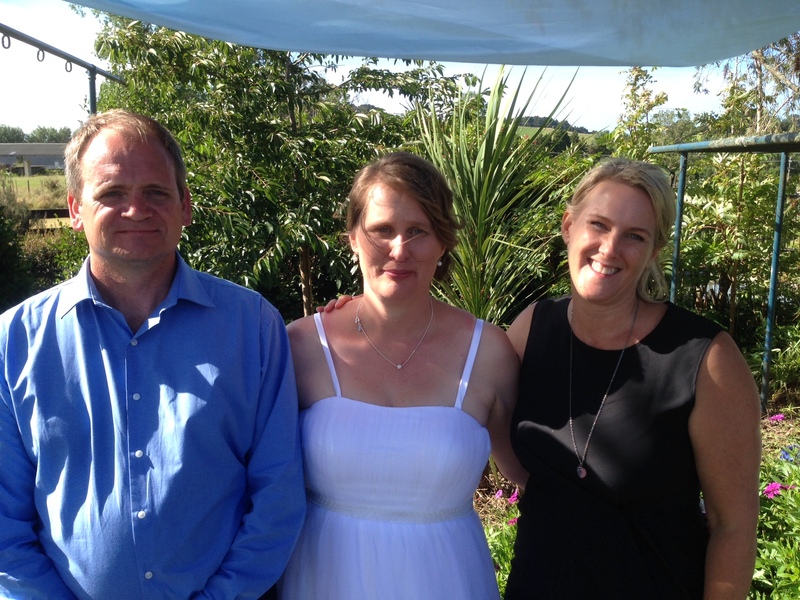 All my thanks to you Marie and Michael for allowing me to be your Marriage Celebrant. What an awesome way to see in the new year!! HAPPY NEW YEAR!!! !